Top 5 Things to do in Nha Trang, Vietnam! If you’re heading down the coast of Vietnam, you’ll probably be thinking about whether to make a stop in Nha Trang or not! We spent a few days in Nha Trang, and found that there are lots of really interesting things to do in Nha Trang! We instantly liked the feeling of this holiday resort town. Whilst it has none of the quaint, artistic character of Hoi An, we found it had a fun and relaxed atmosphere with a choice of classy beach bars with their own pools and sunbeds to chill out in the day. At night there are plenty of things to do in Nha Trang, with lots of vibrant bars and an amazing choice of restaurants in the heart of the town only a few streets from the beach. 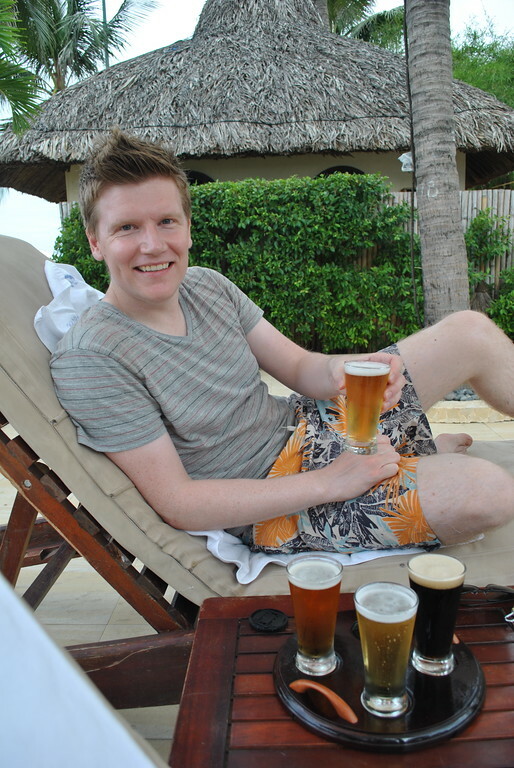 We particularly loved spending our days chilling out at the brilliant Louisiane Brewhouse on a quiet area of the beach with very comfy sunbeds, swimming pool and fresh cold micro-brewed beer, we thought we landed in heaven here! 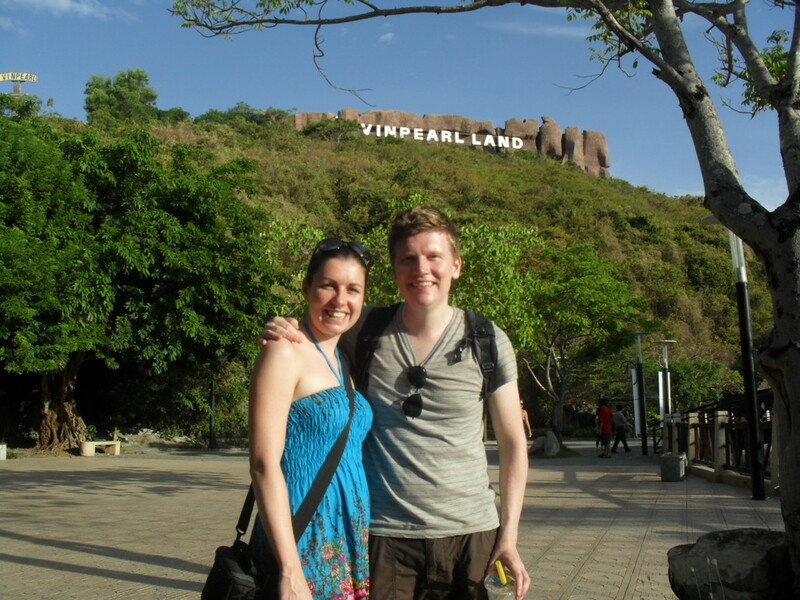 We decided to take the 3.3km gondola ride to the town’s top tourist attraction for the day – Vinpearl world! After a dramatic and exciting arrival on the gondola, we had a brilliant day exploring the many sights and attractions. From sliding down the steep alpine mountain face in our self drive tobogan, taking a dip in the beautiful man-made beach cove, to marvelling at the huge sting-rays, turtles and sharks which swam over our heads in the giant aquarium! All topped off nicely by a stunning musical fountain light show! All of this was well worth the day ticket! There are some great spots for diving and snorkelling in the nearby Hon Mun Marine Protected Area. If you can tear yourself away from the beach and pool that is! After a busy day of activities at Vinpearl world, we decided to chill out by having a hot thermal mud bath at the famous Thap Ba Hot Springs – a lovely way to rest our tired bodies and have a good clean…well, it was our first bath in 3 months! 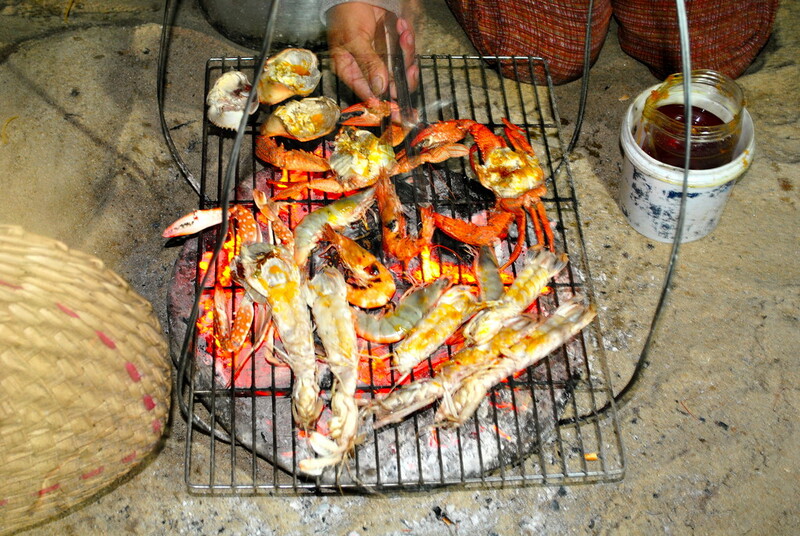 It was one of our favourite things to do in Nha Trang! 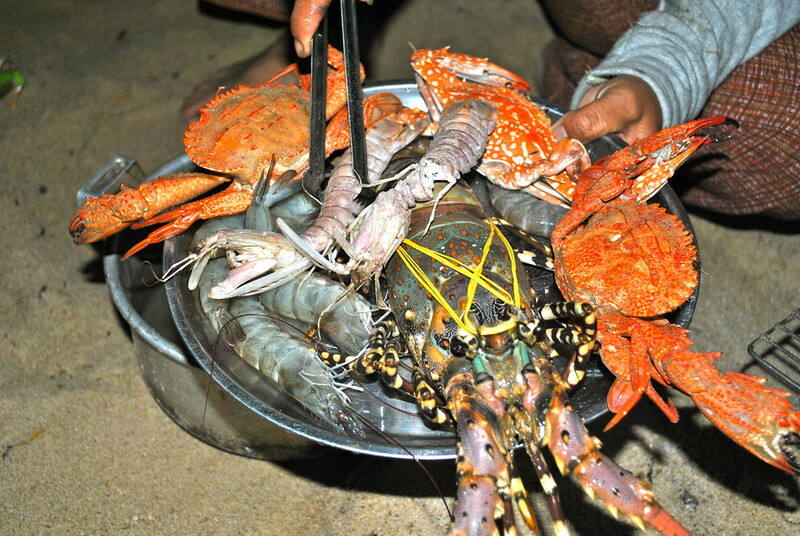 Definitely a highlight of our trip to Nha Trang was our sunset seafood feast on the beach! Marinated to perfection and freshly barbecued in front of us, we enjoyed cracking into fresh crabs, langoustines and fresh lobster! Normally on a tight budget we never look at Lobster on the menu, but after a little haggling with the local hawkers on the beach it was a bargain – result! We spent around 5 days in Nha Trang which seemed like a good amount of time to both relax and explore a few of the main attractions. Eventually making our way down to Mui Ne and Nha Trang and definitely looking forward to it. The photo of the sand dunes is gorgeous! Great guys, it’s a really nice area of the country! The yellow sand dunes were great, the red ones not so good! Great post! Setting off to find that brewhouse first thing tomorrow! Enjoy, try the tasting tray!